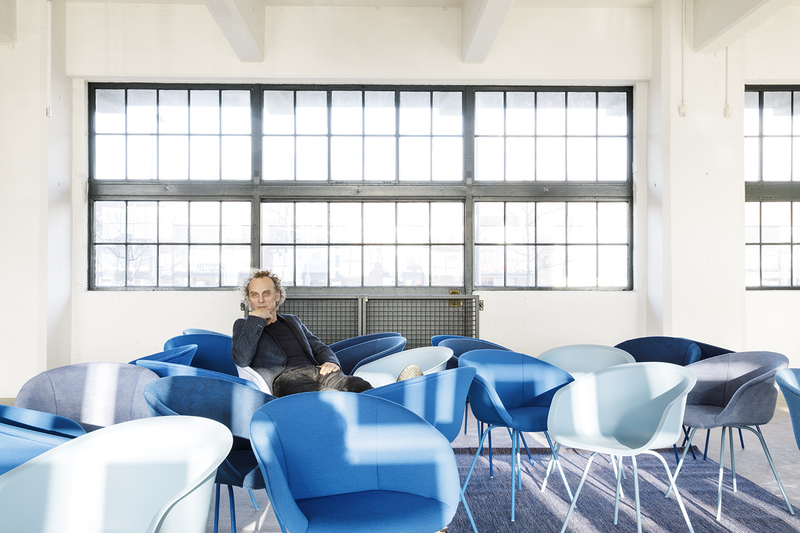 Start the new year with This Bucket Chair by Richard Hutten. Or, even better: a few Bucket Chairs. 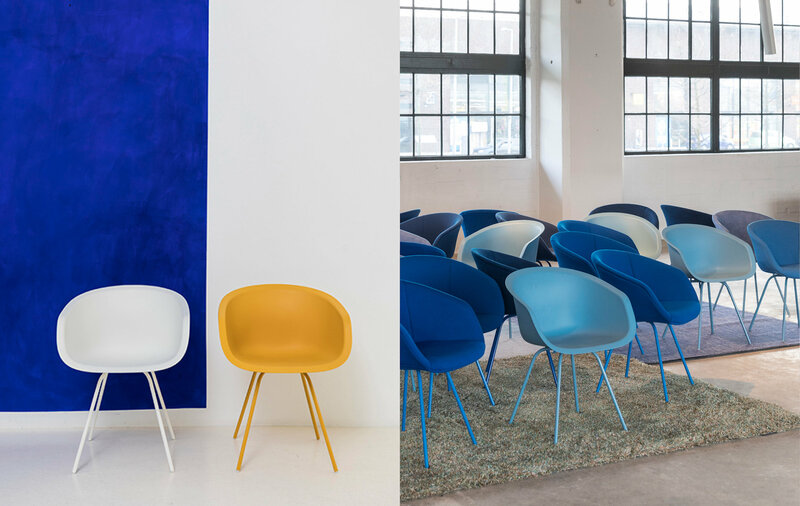 With this design Richard Hutten has expanded the family of chairs in the Lensvelt collection with a new member, which is timeless, elegant, functional, affordable, circular, aesthetic, distinctive, widely applicable, and also extremely comfortable. This Bucket Chair does what it has to do, but has much more to offer. ‘Not many designers can translate the complex set of demands into an aesthetic and qualitative product that is also comfortable to sit on’, says Hans Lensvelt, who developed this instant classic together with Hutten. 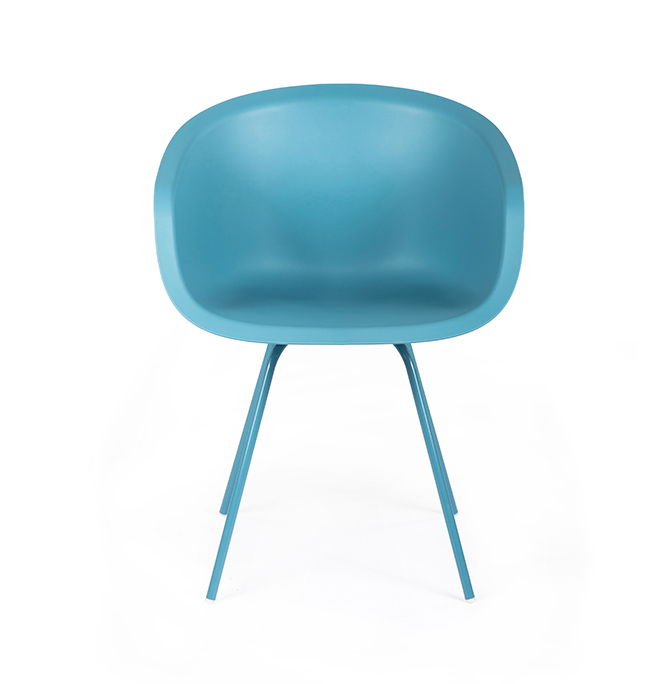 After an extensive research, Hutten and Lensvelt found a plastic that provides the comfort of an upholstered chair. The combination of the materials and the positioning of the mounting points allows the shell to move relative to the frame. This makes the chair ergonomic and extremely comfortable. This Bucket Chair is available not only for ‘purchase’ but also for ‘use’. 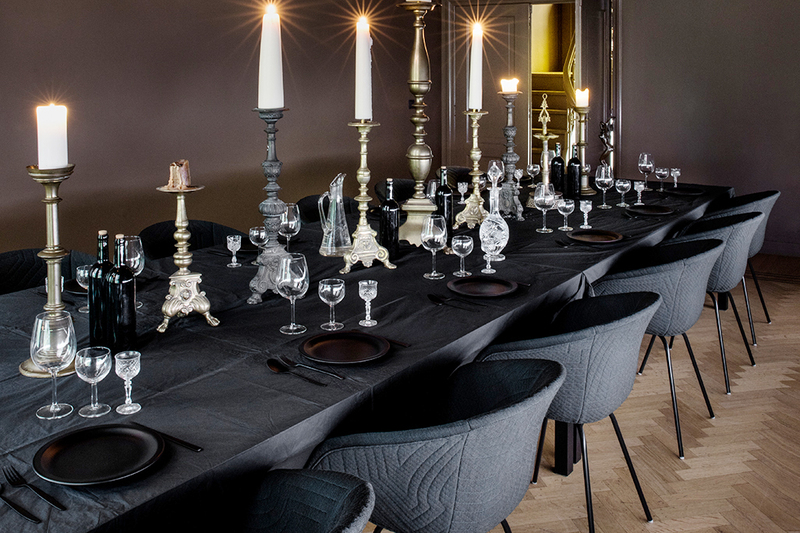 Lensvelt is the first design label that offers this form of ‘rent’. The chair is produced in the Netherlands which minimises packaging and transport, the biggest polluters in the furniture industry. This Bucket Chair can be fully disassembled and all parts can be replaced, guaranteeing long usage. The variations are almost infinite: the plastic shell and metal frame are available in eight standard colours. There is a wooden frame made from solid European oak and the upholstered version is a sleeve with a zip on the seat shell. The cover can be easily cleaned, repaired, recycled and replaced with one of the many fabrics. 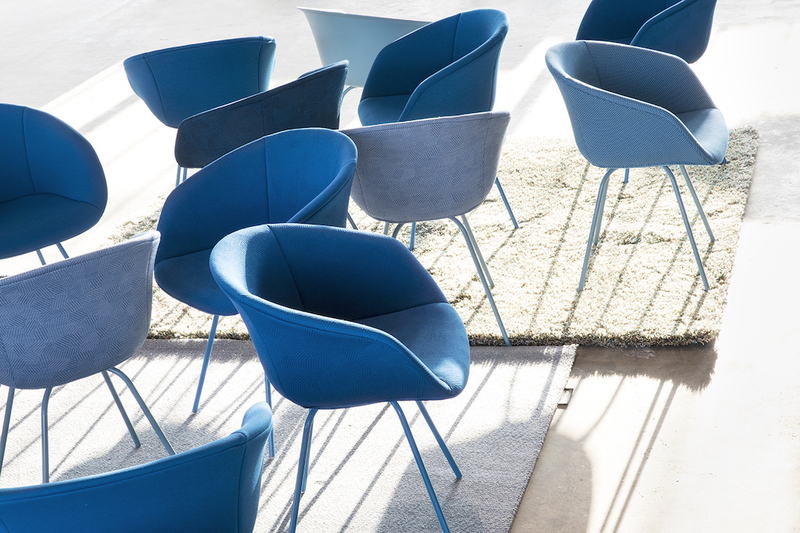 The expansion of the collection with This Bucket Chair shows once again that Lensvelt is a ‘peoples manufacturer’; it makes products that are accessible to the wide audience. The aim was to produce This Bucket Chair for under €150, a goal which has been met. Lensvelt wishes everyone with whom we have worked together on special and prize-winning projects, and all the future clients, a happy new year and toast to many more remarkable collaborations in 2019!